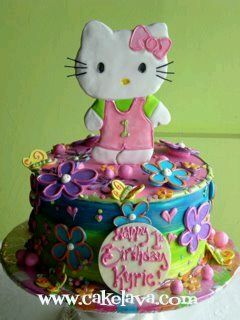 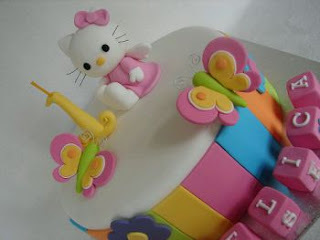 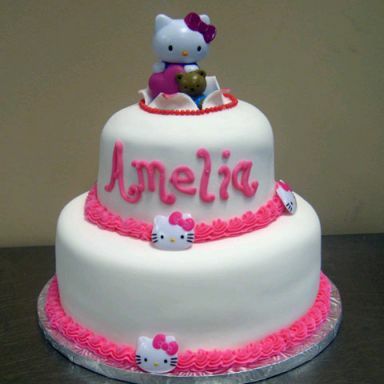 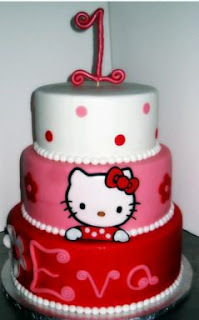 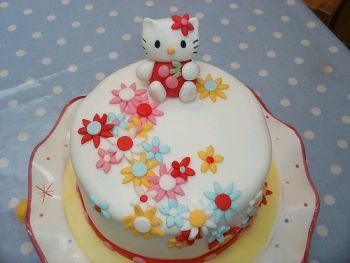 One of the favorite subjects for children parties, for girls, has been, is and will be, the sweet Hello Kitty, the cat is not only tender, but very feminine, these are just some of the reasons why it is very good idea to decorate your daughter's birthday as the main character using this beloved feline. 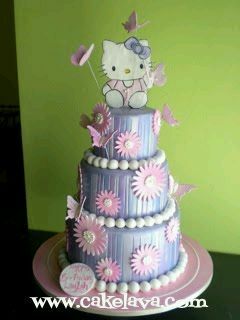 And of course, as the most important protagonist of the decoration, the cake should be awesome, here are some beautiful models, remember to choose one of the models must take into account the number of guests and accordingly, the size of the cake, the colors of your decor, so the cake does not break the unity and harmony with the environment. 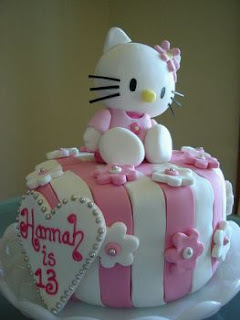 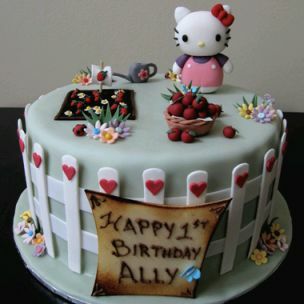 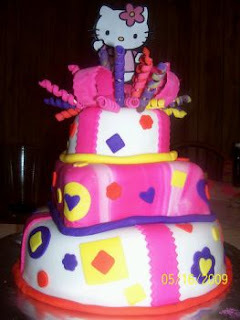 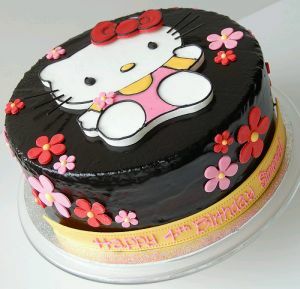 I hope you found some model of Hello Kitty cakes you liked and you can use it in your children party.